Surprise. Surprise. Another post from our Korea trip. Another post that's food-related. 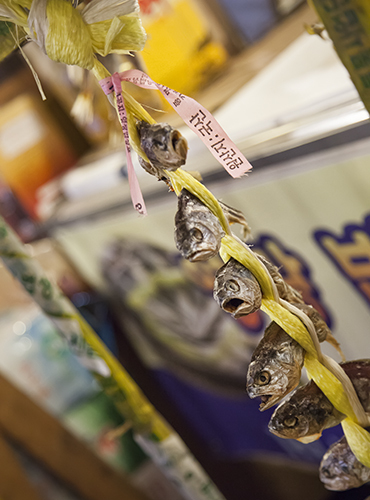 We spent an evening at Gwangjang Market with Jieun's sister and brother-in-law. 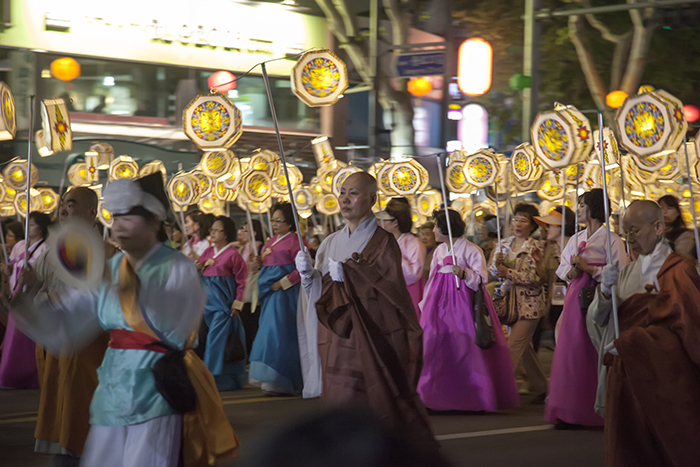 As we got there, we ran into this street parade just outside the market. I believe it was for the upcoming Buddha's Birthday national holiday. These fish don't look happy. 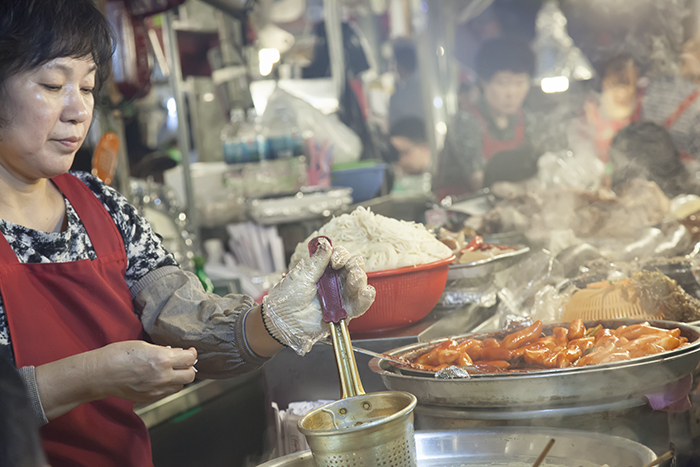 The market is mostly made up of rows of food vendors. 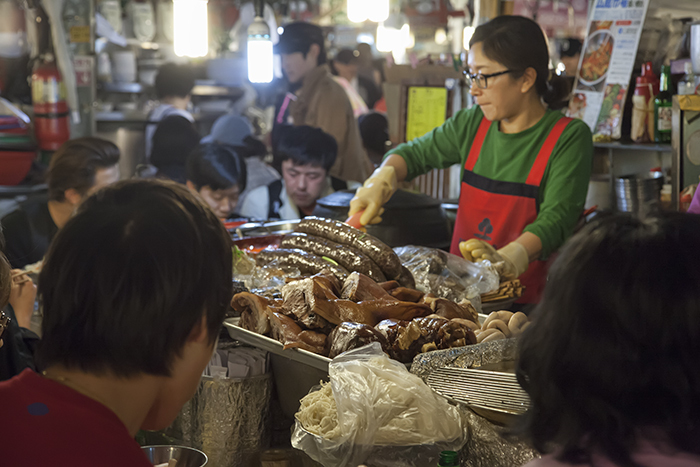 On a busy night such as this, the counter space around the food stands was scarce. 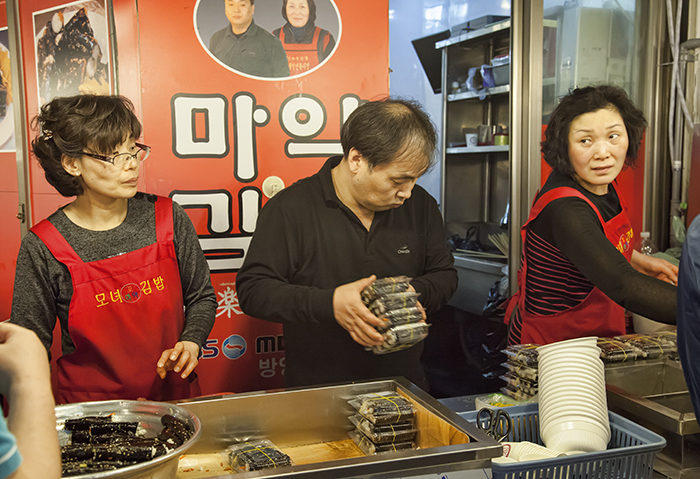 One of the must-visit spots is this famous food stand that serves the so-called mayak kimbap (마약김밥). It literally means crack kimbap (or drug kimbap). 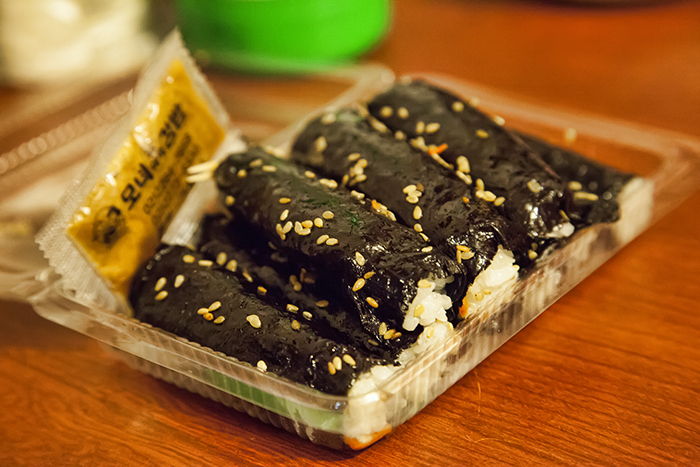 If you're not familiar, kimbap is essentially Korea's sushi roll. True to their name, they were indeed addicting. 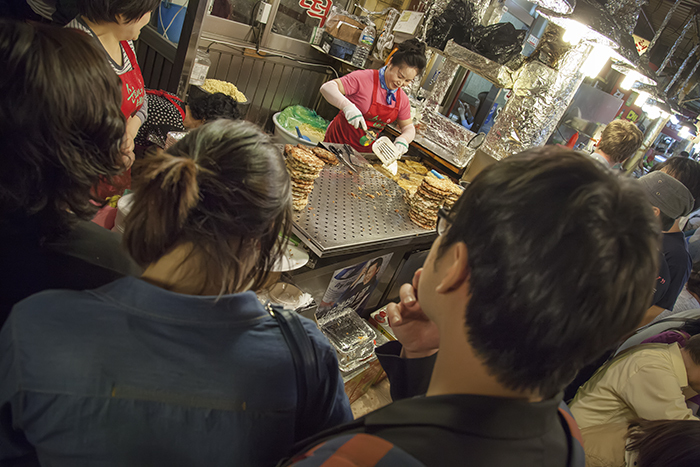 Our next stop was another famous spot that serves up jeon (전), a savory pancake dish. Apparently, the director Tim Burton visited Gwangjang and was a huge fan of this place. So of course, it's now their claim to fame. Honestly, it was a little oily. Finally, we grabbed some Tteokbokki (떡볶이), which is a spicy soft rice cake. 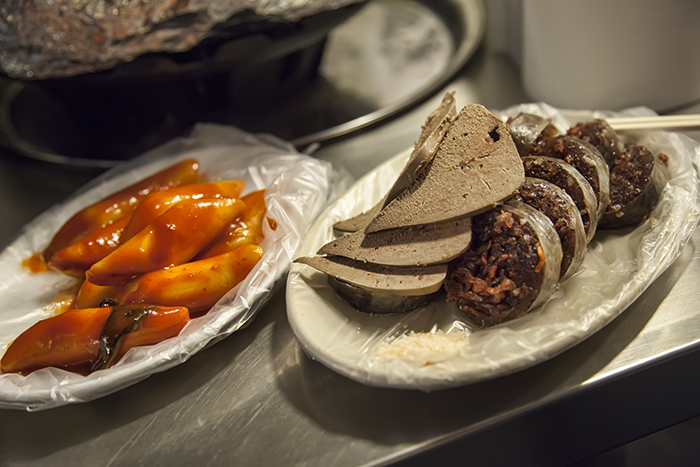 I was also craving some soondae (순대), which is the Korean blood sausage, but it wasn't as good as the place we discovered early in the trip.